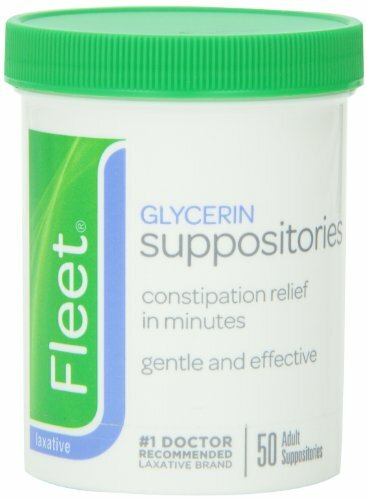 If you're suffering from occasional constipation, Fleet Glycerin Suppositories provide fast relief. That's because the suppository is inserted rectally, allowing it to act locally in the colon without having to go through the entire digestive system. 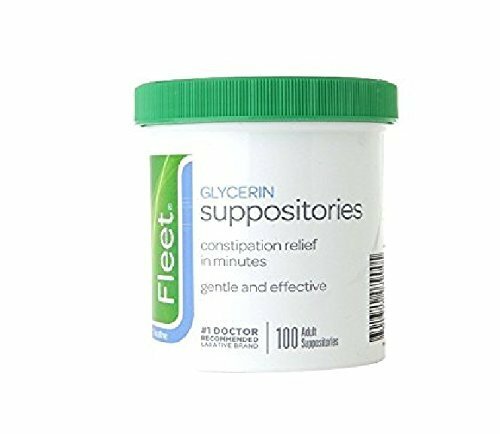 Glycerin is a hyperosmotic laxative that attracts water into the stool and promotes bowel movement. 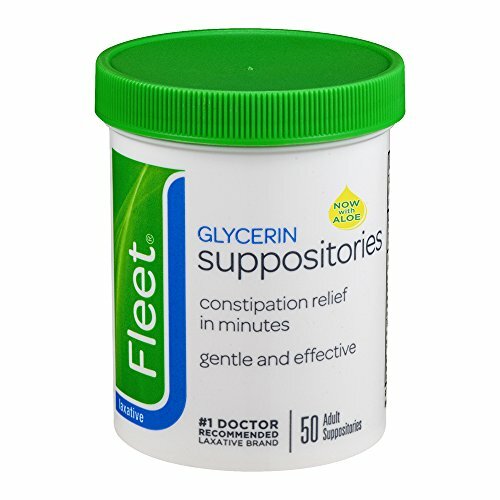 Glycerin suppositories works in minutes for gentle, effective relief of occasional constipation. 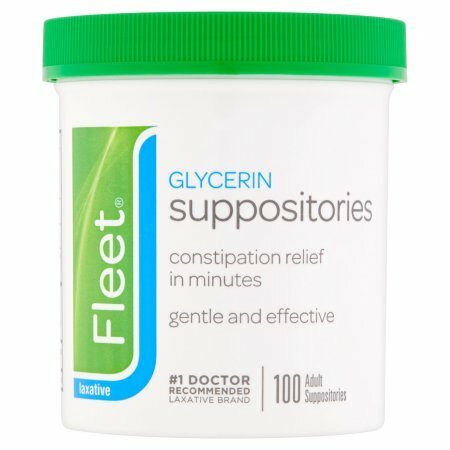 Indications: fleet 7.5 ml liquid glycerin laxative suppositories, adult rectal applicators for relief of occasional constipation. Generally produces a bowel movement within 15 minutes to one hour. Fast acting. Seconds to use. 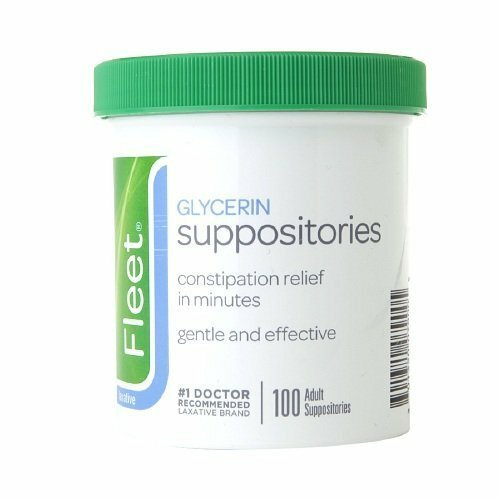 Our Fleet Glycerin Suppository is a convenient alternative for those who prefer not to use liquid enemas. Each suppository is easy to insert and produces a bowel movement within 15 minutes to an hour. 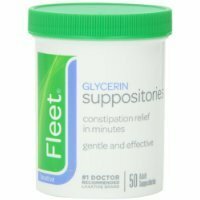 Fleet - Glycerin Suppositories, Laxative, Adult Jar, 100 Each by C.B. 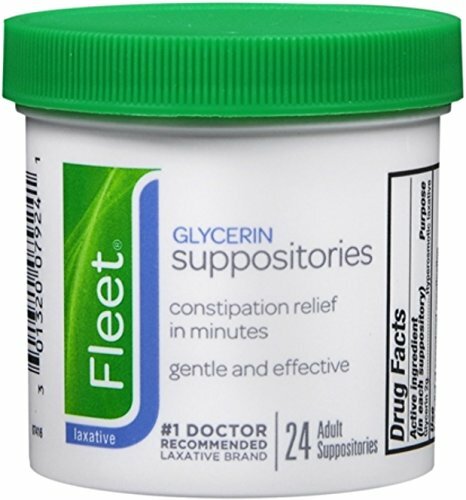 Fleet Company, Inc.